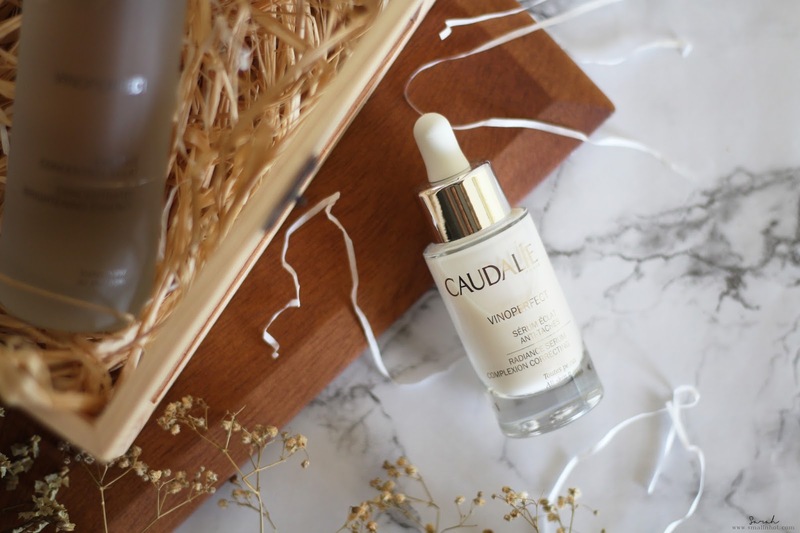 When the words "Grape Water" and "Brightening" collide, you'll definitely think of the new Caudalie Vinoperfect Concentrated Brightening Essence and it's partner in crime, the Radiance Serum. These two goes all out in promising a radiant and even skin tone. So let's find out if it's AWESOME or AVERAGE ? 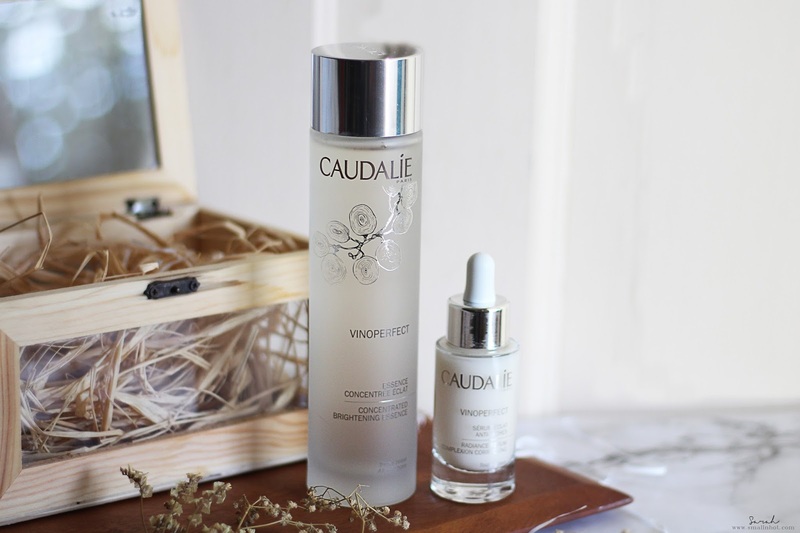 Caudalie Vinoperfect Concentrated Brightening Essence has Glycolic Acid that works to eliminate dead skin cells, whilst extracts from White Peony revitalizes the skin to reveal a more even, healthy-glow. It boosts the performance of Vinoperfect Radiance Serum. You'll LIKE the essence because literally sinks into the skin within seconds. You'll HATE it probably for the price and also how fast you'll finish up the bottle. Oh I do love this stuff. With just a few seconds, it all sinks into the skin. It has an incredible formula that does a great job in plumping up the skin and hydrating it, just makes your face feels like it's all ready for the day. 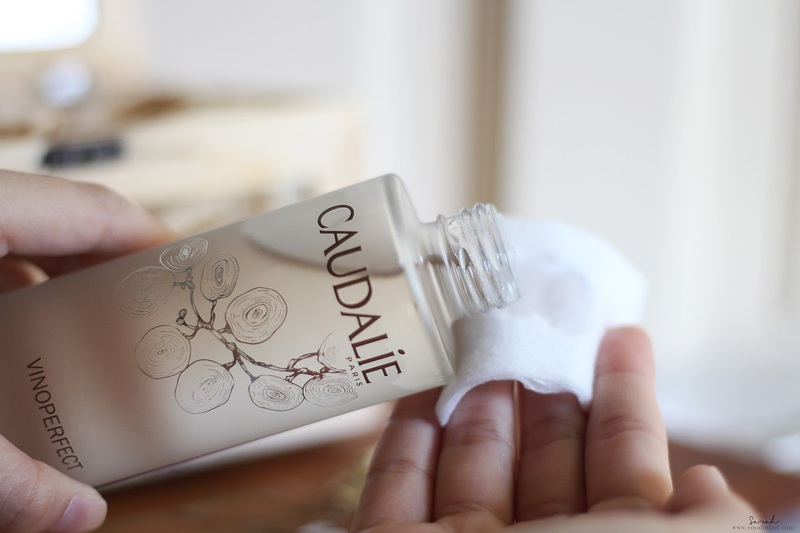 All you need is just a few drops on your palm and then pad it gently into your skin. If you are feeling dull and dehydrated, you can also soak your cotton pad with the essence and put it on your face like a face mask. The only downside is probably the price and also the scent of it. It has quite a strong and powdery scent to it, I would say it's a Marmite situation, you'll either like the scent or simply hate it. So my advise it to get a sniff of this at a Caudalie counter beforehand to see whether you are fine with the scent, before investing in a bottle. 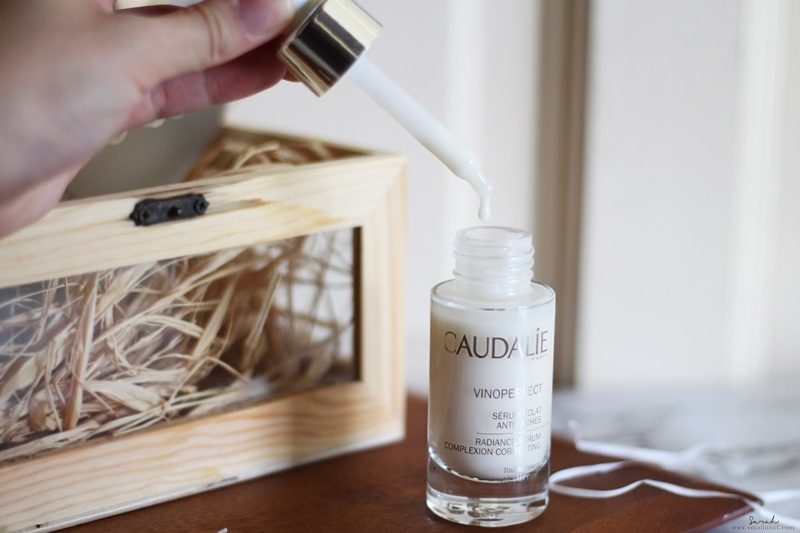 Caudalie Vinoperfect Radiance Serum is both effective and natural. This anti-dark spot serum boost radiance and helps even the skin tone. Ideal for all skin types. Oil-free formula. Non-photosensitising and non-comedogenic. You'll LIKE it if you have dark and uneven skin tone because it will gradually even out skin tone. You'll HATE the slightly tacky finish and also takes a while to sink into your skin. A serum designed to reduce dark spots with the help of sunlight in activating the ingredients to boost radiance. I like the smell of it and only prefer to use it in the evenings because it's slightly heavy on the skin and it takes quite a while to sink in with a slight tacky finish to it. Tho the days when I am using this I can see my skin looking radiant and glowy especially under the sun, but I just don't fancy the tacky finish at all. Overall, the Vinoperfect Concentrated Brightening Essence is awesome, making my skin feel hydrated and plumped up whereas the Radiance Serum falls in the average category.